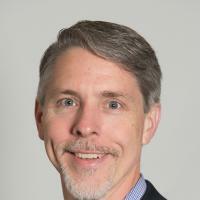 Jeff Huber is the Founding CEO and Vice Chairman of GRAIL (2016-present). GRAIL's mission is to detect cancer early, when it can be cured. Prior to GRAIL, Jeff worked at Google[x] at the intersection of life science and computer science (2013-2016), and was a co-founder of Verily. Previously at Google, Jeff was Senior Vice President and led development for Google Ads (2003-2011), Google Apps (2005-2010), and Google Maps (2011-2013). Earlier, Jeff was vice president of architecture and systems development at eBay and senior vice president of engineering at Excite@Home, where he led consumer product and infrastructure development. Jeff holds a bachelor's degree in computer engineering from the University of Illinois and a master's degree from Harvard University. He is a board member of Electronic Arts (EA), Openwater, and The Exploratorium, and former board member of Illumina (ILMN; 2014-2016).